A fastball covers the distance from the mound to the plate in less than half a second, requiring lightning reflexes and judgment from the batter to even make contact. So when the hitter does make contact, he has to try to make the most of it. 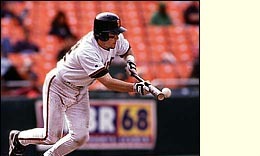 As Brian Johnson, formerly a catcher with the San Francisco Giants, describes it, a hitter has to be aware of wind and atmospheric conditions to get the most out of a hit: "Sometimes the wind might be blowing somewhat in towards the plate in left field, and slightly out of the park in right. In that case, you might take advantage by trying to hit the ball towards right." In order to take advantage of a wind, hitters may try to alter the trajectory of their hits. 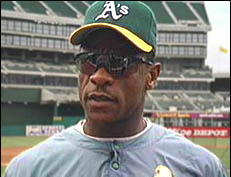 Former Oakland A's star Rickey Henderson says: "When the wind is blowing in, you really try to keep the ball out of the air as much as you can, and try to hit the ball on a line drive that can get through the wind. "Sometimes, when the wind is blowing in and you hit a high fly ball you feel is out of the ballpark, the wind will hold it up and it's just a deep fly ball." Conversely, if the wind is blowing out, hitters may try to loft a deep fly ball in the hopes that the wind will carry it over the fence as a home run. Atmospheric Density and Viscosity, or "Why It's Easy To Hit Home Runs In Outer Space"
The density of the atmosphere can also play a role in how far a hit travels. Says Johnson: "In the Colorado Rockies' new stadium (Coors Field), which is at a high altitude, they have much thinner air, so the ball flies much farther." Under such conditions, hits that might be routine fly balls can sail over the fence for home runs, and hitters who might not try for home runs can suddenly think about swinging for the fences. How can something as light as air slow down a hit? After all, air feels like it's hardly there. Exploratorium scientist Paul Doherty explains: "The ball travels through the air after it comes off the bat. Now we don't think of air as being much of anything. But if you're riding in a convertible, and you stick your hand up into the airstream, you know the air can really push on your hand. And the air is really pushing on this ball, slowing it down, making the difference between clearing the fences and a long fly out." Take away the air, and a hit ball would travel a lot farther. Say that the ball, struck by the bat, flies into the air at 165 miles per hour, at an angle of 55 degrees. If the ball were flying through a vacuum, the distance it would travel would be determined solely by the ability to resist gravity imparted by its speed and trajectory; without all that air in the way, the ball would travel 799 feet! 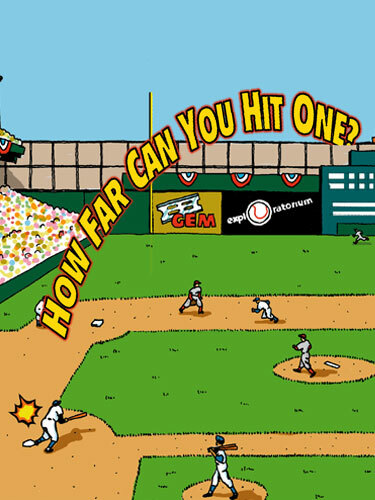 Even in a stadium twice as large as those that exist, a 799-foot hit would still be a home run. For the moment, though, as long as we're stuck playing on earth, baseballs must travel through air. So what is it about traveling through air that affects a hit? The two properties of air that affect a ball's flight are density and viscosity. In a dense gas or fluid, the molecules are close together, and any object moving through the substance must push aside a large number of molecules. All this effort takes some energy, diminishing the distance the ball will travel. The viscosity of a substance reflects how much it resists flowing, and also how sticky it is. Substances like motor oil and honey have a high viscosity, while gasoline and benzene are low-viscosity liquids. Gases are much less viscous than fluids -- about 100 times less. The viscosity of air increases slightly as temperatures increase, but not enough to make a noticeable difference in drag on the ball. The density of air changes with variations in temperature, pressure, and humidity. As the temperature increases, the air density decreases. For instance, air is 12 percent less dense at 95 degrees Fahrenheit than it is at 30 degrees Fahrenheit, resulting in markedly less drag. Density also decreases with a drop in air pressure. As you move to higher altitudes, air pressure decreases significantly -- about 3 percent for every 1000 feet of elevation. So a moving baseball experiences about 16 percent less drag at the 5,000 foot elevation of Denver's Coors Field than at a sea-level stadium like Boston's Fenway Park. Humidity is a measure of the percentage of water vapor in the air. An increase in humidity has a surprising effect on air density: As humidity increases, air density decreases. In damp air, the large, heavy oxygen and nitrogen molecules are replaced by lighter water molecules, resulting in less density -- in essence, lighter air. Physicist Paul Doherty explains it this way: "We think of humidity as something that's added to the air on a hot, muggy day. So you might think that a ball would go farther on a dry day than on a humid day. But for every water molecule that we add to the air, we displace a heavier nitrogen or oxygen molecule. Since the addition of humidity actually makes the air less dense, a ball will go farther on a humid day than it will on a dry day." The changes in air density related to humidity are not large: Compared to dry air at the same temperature and pressure, there's only about a 1 percent reduction in density for a humidity of 80 percent. The chart below shows a sample of balls hit at different speeds and angles under different conditions of temperature, humidity, and altitude. Notice that even a 5 percent difference in drag can make the difference between a fly ball and a home run. But what else happens when the batter makes contact with a pitch? What factors besides aerodynamic drag determine how far and fast the ball will travel? What makes one hit a home run, another a weak fly ball, and another a hard grounder? The first thing affecting a hit is the angle and location of contact between the bat and the ball. There is a perfect location for contact along the length of the bat, which batters refer to as the "sweet spot," or "good wood." 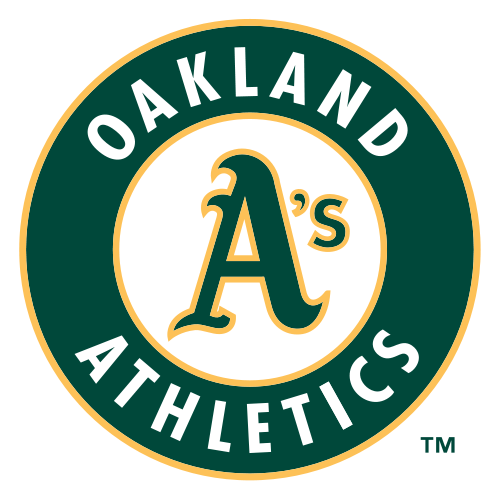 As Rickey Henderson describes it, "The sweet spot is the middle of the barrel of the bat. That's where you really want to hit the ball. . . .When you hit the sweet spot, a lot of times you hit a home run, or just hit the ball really hard." But, as Henderson explains, "you can't really aim to hit with the sweet spot because pitchers are usually throwing different types of pitches, which are moving around. So you're just trying to make contact." Scientists describe the sweet spot as having two parts. One point is called the center of percussion. This is the place on the bat which, when hit by an impulse (the ball), produces no impulsive reaction at the point of suspension (your hands holding the bat). That is, if the ball hits the bat right at the center of percussion, the bat won't wobble or twist in your hands. Instead, all of the swing's power will be transferred from bat to ball. On a standard baseball bat, held at the base of the grip, the sweet spot is usually located in the middle of a six-inch area around the maker's label, extending up towards the tip of the bat. However, the location of the center of percussion differs according to where you hold the bat. A hit outside of the sweet spot results in vibration of the bat and a weak hit. It can even break the bat. But the sweet spot has another component. Says Paul Doherty: "There's one spot on the bat that, when the ball hits that place, it doesn't set up a sound wave in the bat, a wave of vibration, which you feel in your hands as a buzzing sensation. If you hit the ball at this node of vibration, the wave doesn't travel to your hands. Both the node and the center of percussion combine to give the bat a sweet spot. If you hit the ball at that spot, it doesn't vibrate or jump in your hands, so the energy of the bat goes where it belongs--into propelling the ball." Angle of Contact: Fly Ball or Grounder? The vertical location of the contact matters too. The baseball is round, and the bat is cylindrical, or barrel-shaped. If the batter's swing is off-center by more than a few millimeters vertically, the hit will be a fly ball or a grounder. A dead-center hit will be a line drive, and a hit a few millimeters below center could be a home run. But it could also result in a deep fly ball, easily caught by the fielders for an out. What's the difference? The determining factor lies in the physical properties of the bat and the ball, the moment of contact between the bat and the ball, and the interaction of the ball with the air as the ball flies towards the outfield. Let's pause here for a word about some of the elements involved in any collision: momentum and force. So a slow-moving, heavy object has great momentum, as does a fast-moving, light object. The next question to look at in a collision between bat and ball is the question of force. This equation tells us that we have a balancing act. To cause a given change in momentum you can apply a LARGE force for a short time interval, or you could apply a SMALL force for a long time (or anything in between, as long as the two multiply to the same number). This means that you could stop a rolling car with your little finger, if you could push against the car for a long time. You could even stop the Queen Mary by breathing on it . . . for a VERY long time. However, to effect a similar change in momentum over a very short time would require a much larger force. In real-world terms, this means that it takes A LOT of force to stop a heavy, fast moving object quickly. When a 30-oz. bat traveling 70 mph strikes the 5-oz. ball traveling 90 mph in the opposite direction, they remain in contact for about 2 milliseconds. What happens? Well, we know from experience that the ball ends up sailing towards the outfield at about 100 mph. But what happened in the collision? There is a very important principle in physics called conservation of momentum. This law states that there must be the same amount of momentum after the collision as there was before the collision. You have to add up ALL the momentum before and after. So in our case, you add up the bat + ball before, and that must equal bat + ball after. In this collision, the bat slows down and gives much of its momentum to the baseball. So in our collision between bat and ball, what is happening? Both objects experience an equal change in momentum as a result of the collision. But the greater mass of the bat means that, for a given change in momentum, it will experience a much smaller change in velocity than the ball. The much lighter ball undergoes a large change in velocity, which results in the ball flying away towards the outfield. A batter has only split seconds in which he must decide to swing and accelerate the bat to meet the ball. A heavy bat requires great strength and excellent reflexes to use, otherwise it becomes a liability. If the bat is too heavy, the pitch will pass by before the batter can hit it. Some professional hitters prefer relatively light bats, which they can accelerate and swing quickly and accurately. As Rickey Henderson indicates, you have to have perfect timing and judgment to get a hit with a heavy bat: "I use a light bat, about 32 or 34 ounces, to get some more bat speed. Bat speed can give you more distance, but it really gives you a chance to wait a little longer (before deciding to swing), to see the ball to the plate a little longer, so you can just make contact with it." Many hitters who use lighter bats are "contact" hitters like Rickey Henderson. They specialize in carefully placed base hits, instead of "swinging for the fences." However, some light-bat hitters have managed to hit a lot of home runs. Hank Aaron, for instance, broke Babe Ruth's lifetime record of 714 home runs using a light bat. Remember, momentum has two components, velocity and mass. 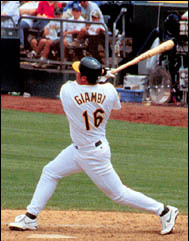 A hitter with quick wrists using a light bat can generate tremendous bat speed, thereby generating great momentum. 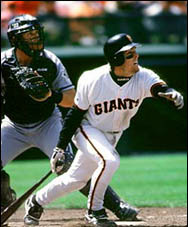 The speed of the ball as it approaches the hitter also affects its flight after being hit. The greater the speed of the ball before impact, the greater its rebound speed will be. This is due to the elasticity, or bounciness, of the ball. Though it seems quite hard, the modern baseball is very elastic, which means that when it is deformed by an impact, it tends to bounce back, returning the kinetic energy of the impact into motion in the other direction. The measure of this bounce is called the coefficient of restitution, which is a measure of how much of the energy of the collision is returned into the motion of the ball, rather than being dissipated as heat. No ball is perfectly elastic: The elasticity of a particular ball depends on its construction. After 1920, baseballs were made much livelier to encourage power hitting. The next season, the number of major league home runs more than doubled, and the nature of the game was drastically altered. Over time, changes in materials have changed the nature of the game. But the forces of nature remain the same. Bill Mueller hits a ball into the shifting winds of Candlestick park. With a bunt, the collision removes energy from the ball. The ball travels a much shorter distance. Rickey Henderson told us he uses a light bat not just to increase bat speed, but also to improve his ability to make contact. His tremendous speed then gives him a better-than-average chance of getting on base.